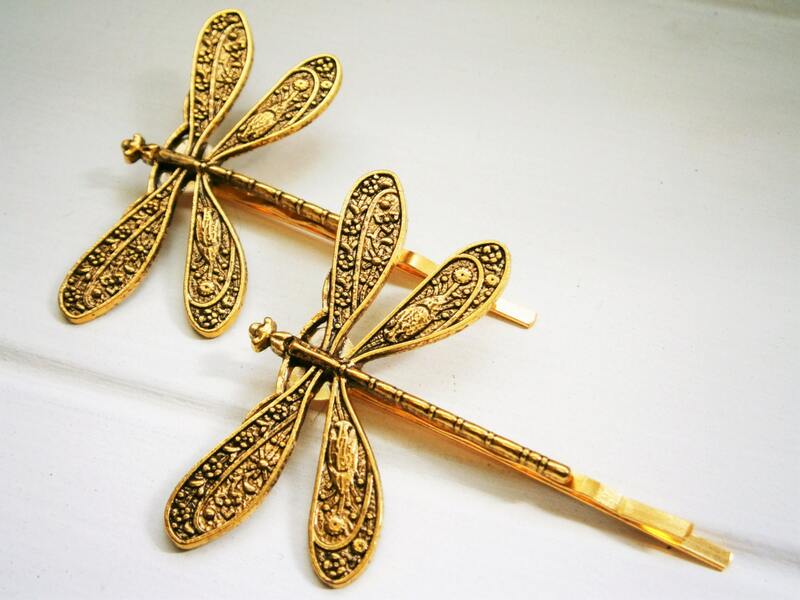 Set of 2 Antique Gold Plated Dragonfly Hair Clips/Bobby Pins. 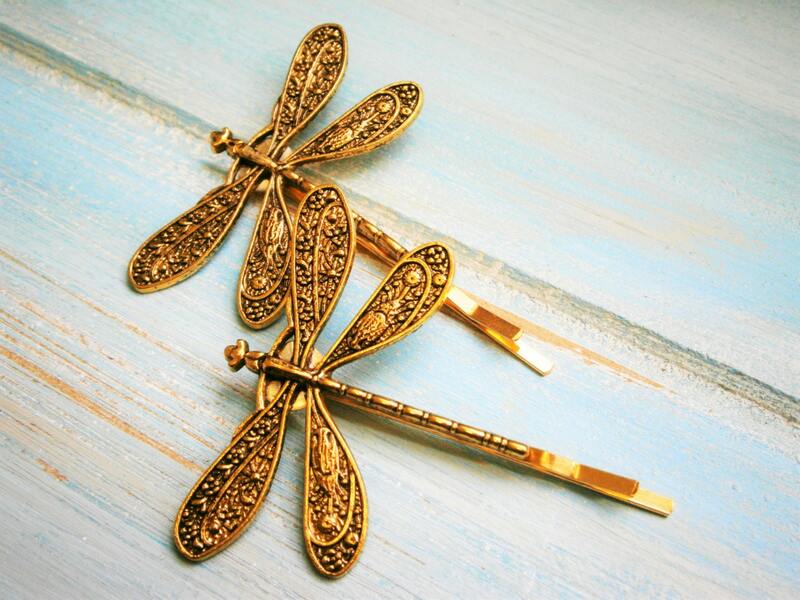 Strong & durable Bobby Pin/Hair Clip 50mm (2 inches) long with 36mm x 46mm (1.5 inches x 1.8 inches) Dragonfly attached. 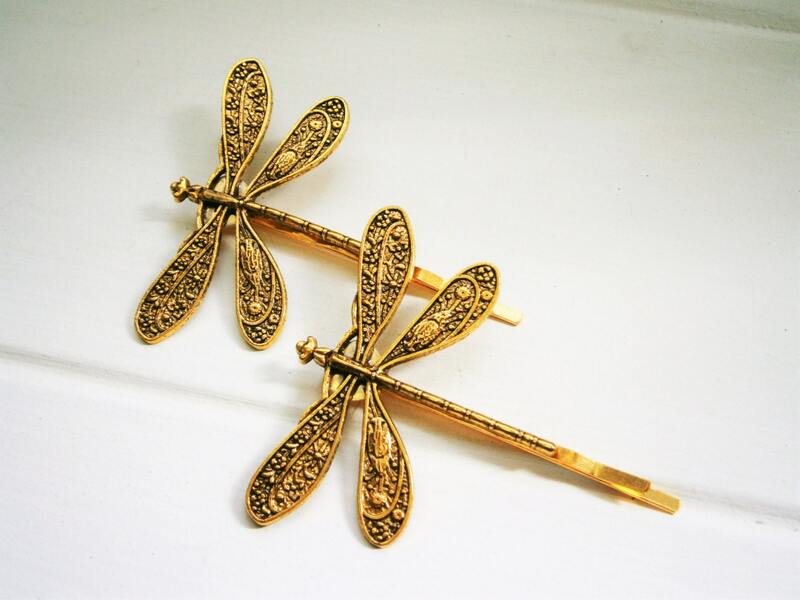 This set of two antique gold plated dragonfly hair clips are a must have accessory. Wear them individually or together. Wear your hair up or down, messy or straight with these clips. They will add something special to any look! All hairclips are handmade by me. All purchases do come gift wrapped ready for gift giving. I do include a gift tag with every order, and it will, by default, be addressed to the buyer. However, if this is a gift for someone, I would be happy to address the note to anyone you wish, using any words you wish! Please let me know if this is an option you would like to use. I ship all packages within 3 - 5 business days by New Zealand Post, which takes approximately 3 - 10 business days internationally depending on location. National deliveries are sent by courier please allow 2- 3 business days as I am posting from a rural area. Please let me know if you have any questions, I would be happy to help and will respond as soon as possible!